I’ve been using Facebook’s new Timeline for almost a week, and within about a day I quickly decided that I like it. It’s a fun and interesting way to present Profile information. (Now, if only they’d do something else with the News Feed, which has turned into an ugly, cluttered mess.) And no, you do not have to pay to get Timeline. Social apps are going to share EVERYTHING you look at. But there are steps you can take to limit that. 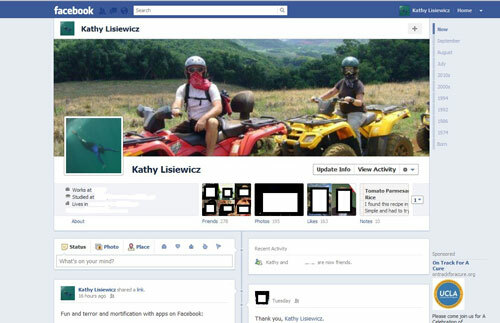 Want to get creative with the “cover” and your profile photo? Check out what people are doing. If you’re worried that Timeline will let people know that you’ve unfriended them, don’t worry: Facebook has fixed that. Spotify now requires you to log in with Facebook. But if (like me) you have lousy taste in music and want to hide that, you can. My building is having a fire drill this afternoon, sometime between noon and 5. We don’t know exactly when our floor will go; that way, we’re not all in the lobby when the alarm goes off–we’re actually doing normal things. Except that as one of my suites “wardens,” I’m hyper-aware that it could happen at any moment. Or not. So basically I’m just sitting around, waiting for a fire drill. That’s not productive. No one is benefiting from this, not even me. 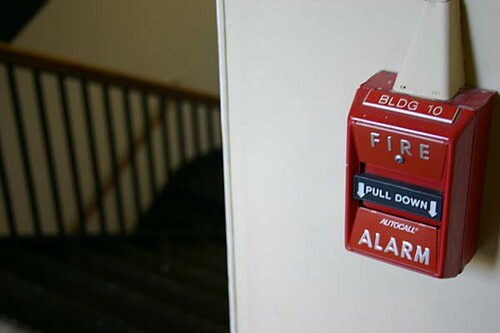 So, what’s your fire drill? And what else could you be doing right now? Photo by Night Owl City, via Flickr. Facebook: Timeline or Time Warp? Remember when profiles were “too boxy”? Well, the new Timeline kind of looks like it’s taking us back there. The first thing you see is startlingly new: the “Cover.” It’s a large photo that stretches across the screen, overwhelming your existing profile photo (which is still there, just smaller). Following that, you see a quick bullet-point summary of your personal info, along with photo arrays of your friends, photos, and pages you’ve “liked.” Below that, running down the center of the page, is an actual timeline–just like the one in history books–except that in this case, the boxes of information off to each side are about you, and not about the Hundred Years War or the Qing Dynasty. On the right is a shortcut to years and months (mine shows decades for recent years and then, oddly, “1974”–but I can’t figure out why, because nothing appears when I click on that year). And it scrolls on and on and on. And on. PCWorld has an article that provides more explanation of the structure; take a look. My immediate thought is that it looks like a lot of blog templates I’ve rejected over the years–for being too boxy. The timeline down the center isn’t very obvious, and it took me a couple of looks to figure out how this thing is organized. But I do think it’s interesting, and if Facebook is going to change, then I’d rather it changed in ways that are interesting. This is a very different way to display information than the previous versions of profiles, and I think it’ll take a bit of time to get used to. But it has the potential to be fun. There are other changes beyond the look of the profile, and Mashable does a good job of introducing them. Want to try out Timeline ahead of time? Mashable tells you how to do that, too. In July, Netflix changed their service dramatically. Lots of people were unhappy, both with the change, and with how it was communicated. But now I see that given the huge changes we have been recently making, I should have personally given a full justification to our members of why we are separating DVD and streaming, and charging for both. It wouldn’t have changed the price increase, but it would have been the right thing to do. So we realized that streaming and DVD by mail are becoming two quite different businesses, with very different cost structures, different benefits that need to be marketed differently, and we need to let each grow and operate independently. Nowhere in this passage, or elsewhere in the apology, does he mention something crucial: the way they’ve been handling streaming has been wrong, and the reorganization is designed to let them keep that part of the business going. Bill Gurley does a great job of explaining how the laws regarding distribution rights for DVDs and streaming video are different. And I think it’s worth noting that it took three months for them to figure this out. Three months and the loss of what I hear is a million customers–not to mention dwindling stock prices. All that, and an apology that doesn’t really explain the cause of the change (or indicate that they now realize that their method provided very little notice to existing customers). The response I’ve seen has been overwhelmingly negative, which is not what you usually hope for with an apology. Photo by ozcast, via Flickr. My second thought: What am I looking at? My third thought: So, is this what makes me take the plunge and switch entirely to Google+? Not yet, and an awful lot of people are in the same boat. We’ve put a lot of time and effort into our Facebook profiles and connections. The thought of recreating a network is daunting. But that’s right now. After all, look at MySpace.